Recently we celebrated our One Year Nomadiversary! One year ago we embarked on a new way of life for us, as a Fulltime RV Traveling Family. In celebration of this momentous occasion, we thought we’d try sharing our journeys with others. Maybe, pertinent and demanding questions need to be answered. Perhaps, our nonexistent fans have been waiting on pins and needles to hear all about our adventures. Some may be asking themselves why we became a nomadic family. Others could be wondering why in the world we chose to live in an RV! Possibly they are thinking, “how did that family come to this life changing decision?” Well, we like to think our journey here has been a series of fortuitous and serendipitous events. Our story starts a little further back than a year ago, however, so let’s rewind a bit farther back….maybe as far back as the beginning of parenthood….. I think most parents would agree that becoming a mother or father changes you in fundamental ways. Growing with your first child. Earning the moniker of Mom or Dad. Learning as you go. Discovering new insights about yourselves, new depths to your very souls that you may not have otherwise known about. And with each wildling you add to the pack, the process starts all over again. Each child is different from the one before it, and you have to learn to be their Mom and Dad all over again just like you did with the first one. Stretching and redefining not only who you are, but also your worldview. Then, three, four wildlings down the line you realize…..the parents that your last child has, are not the same parents your first child started out with. With each wildling I’ve had the gift of raising, I’ve found myself retreating from the fast paced, chaotic world — and yearning for simpler things. Even more so since the addition of our littlest one. From the onset of my pregnancy with her, I found myself becoming more and more a hermit, withdrawing from time consuming social media, turning off notifications, and paying less and less attention to the fast pace of everyone outside my immediate little family bubble. It became overwhelming for me to keep up with the world of instant communication, where everyone is always connected, always on. Facebook frustrated me with how time consuming it had become, with it’s ever changing algorithms making it almost impossible to actually see anyone’s posts because if I didn’t have constant interactions with everyone it didn’t deem it necessary to put their posts in my page feeds. Having to go look at everyone’s actual pages to see if they’ve posted anything new was becoming tedious, and took up too much time (which there was never enough of). We now live in a world where everyone is expected to be glued to their devices, and if you don’t respond immediately to something or if you don’t stay on top of everything that’s happening online somewhere you must not care, you must be a bad friend, or a lousy relative. Keeping my phone nearby was becoming a hassle, and most often got left in my purse or on a table somewhere, until eventually I almost never had my phone with me….and it was freeing to not be always connected….being untethered. I had more time for other more important pursuits. This deep longing was growing within my spirit, to escape the hustle and bustle of a world being swallowed up by corporate greed and mindless consumerism. I was becoming wary of a world where corporations make us feel like we have to camp out for hours in the freezing cold waiting for Black Friday sales to save money on THINGS we think we need that we otherwise can’t afford; which leads to ridiculous things like people fighting and trampling others to obtain the STUFF first, instead of just being thankful for what we already have on Thanksgiving (a holiday that’s being taken over by this greed that now accompanies Christmas). And I was tired of a world where we all have to be in a rush to go or do any of the things that we think we need to be doing, because we pile too many THINGS into our lives and there isn’t enough time to get it all done. I was dreaming for a way to drop out of the rat race, of finding a way to be able to actually ENJOY this life that’s just passing us by. As parents, we dream of the life we want to give our kids, and hope that we come close to accomplishing that by the time they’re grown. However, it often becomes a struggle to give them the life we’ve dreamt of giving them because life is too busy flying by while we trudge along trying to stay afloat in the monotony and labor of day to day living. Working ourselves ragged, to earn enough money to feed and cloth our kids, paying endless bills, and consuming more and more STUFF trying to keep up with those darned Joneses — striving for that American Dream that’s beginning to look more and more like a nightmare the older we get. It’s insanity, this cycle being perpetuated endlessly. Once we began homeschooling the feeling of actually accomplishing more as a family, and feeling more like a family was amazing. All the years we had spent sending the kids off to public school and daycares to be taught and basically reared by strangers had been stripping away layers of our lives that should have been spent together. Looking back forlornly over all the years I had to work and all the things I had missed out on in the kids’ daily lives was one thing; but even as a stay at home mom I was still missing out on so much of my kids’ lives because they were still spending all day in public schools being molded by strangers, and then spending all of their evening hours at home with us working on hours and hours of homework which was causing so much anxiety in the children that life was not what we wanted it to be for them. The sad state of the public education system and how it’s become focused on testing scores (especially so in Savannah) led the elementary school Principle to give the entire fourth grade class a speech about how pathetic they were, which in turn had my oldest daughter come home crying her heart out having internalized that statement and truly believed it to be so. Luckily for us that disheartening experience was the impetus for one of the greatest decision of our lives thus far….homeschooling our kids! Despite the new journey that was open to us as a family through homeschooling and feeling so much more accomplished in our endeavors at living life, there was still that rat race of staying afloat to maintain that life. Hubby’s job kept him away daily, when we were blessed to have him at home and not away on deployments. The years that we lost during each deployment and my job of holding everything together was tough, but compared to everything he has gone through for us is humbling. “Why do we do this to ourselves?” had become an almost daily question I would ask myself, until one day…..amongst my research for homeschooling ideas, DIY natural alternatives, tiny house living and homesteading research — I began fortuitously stumbling over these brave and adventurous souls who have ditched the American Dream and are chasing a new dream! These courageous beings are living their lives now! Instead of working the standard 9 to 5 jobs tied to a building everyday just to survive, and trying to find spare time to fit in for ‘family time’— they are diverging from the expected norm! They’ve found a way to drop out of that rat race like we’ve dreamt of doing!! Enabling themselves to spend more time together as a family. Parents forging stronger, richer relationships with their children and each other. Simplifying their lives, becoming minimalists and shrugging off all the THINGS and STUFF that weighs us all down in order to enjoy more fulfilling lives through EXPERIENCES. Say what!? Are they mad?! Maybe so, because they are hitching their mobile tiny homes up and seeking adventures across this great land. Families on the road together, NOW, not later when they’re retired and the kids are off seeking their own American Dream! My mind was blown! But, not only that, it spoke to me. It stirred my soul, and fed my dreams for a better way. A way to show our kids the world and live life on our terms. A life where we give the kids experiences instead of more STUFF, learning to be minimalists, practicing conservation, and appreciating the earth we live on. The more we learned about this way of life, the more we wanted to hitch up our own wagon and explore! I’ve always had a nomadic spirit, and wanted to explore the whole wide earth….but with the wildlings joining my life, the desire for wandering adventures had to wait until they were all raised and out of the nest….or so I’d thought! Being in the Army has helped us live in new places and explore a little bit, and we always tried to make it an adventure. But, it also meant being tied down and we couldn’t do much more than dream about the open road (along with our other dream of starting up a little homestead). We were in no position to up sticks and just roam the country. We had to go on living the monotony and keep dreaming for a little while longer. As time went on this dream got lost in the background of living life as things tend to do. Eventually, though, the day came when the chains of mediocrity were letting go! MadMac (my hubster) had paid his dues and the Army was releasing him back into the wild! He was deemed 100% disabled and was being medically discharged. New worlds were on the horizon! However, at the time, we didn’t think much about that New American Dream on the open road, as we still felt ill-prepared and a good dose too scared to even attempt to try it just yet. So, instead, we talked about our other dream of finding a little place out in the middle of nowhere and starting our own little homestead one day…..after some debt elimination and renting for a while, in order to afford that little homestead. Where we wanted our location to be was the big question. But first, we had to move off post and begin the transition out of the Army, before we could even think of where we wanted to end up in the long run. You see, when you live on post and begin the process of leaving the army, you MUST move off post BEFORE your Final Out date, even though you aren’t officially out of the army yet. And not knowing when exactly the Army is going to decide is your Final Out date during the long process of a medical discharge (because it’s always hurry up and wait and wait some more with them) we opted to go ahead and move off post so that we wouldn’t be blindsided by having to move too suddenly if the date came sooner rather than later and end up having to rush the move. Therefore, in January or February of 2015 we began the stressful process of looking for a home to rent off post in Savannah, which required agonizing over what part of the city was going to be safest, because sadly the city, although beautiful and an amazing tourist attraction, is actually very crime infested. We had moved on post to feel safer, after a number of shootings happening in our neighborhood, which had previously been one of the nicer areas to be in. But, the neighborhoods available to move into is limited to the number of homes available for rent with enough bedrooms for everyone and all your STUFF, but still be within your budget….so yeah, STRESSFUL! We had finally found a suitable home to accommodate the size of our family in a reasonably safe neighborhood not too far for hubby to still drive back on post for work. We packed and moved everything ourselves since we wanted to save the last Army paid move for whatever future move we would eventually make back home or to another state if we decided to go elsewhere, because we could only use their service once. The move itself was very hard on hubby’s body (numerous reasons of which were the basis of his medical discharge to begin with), but luckily one of his Army buddies gave us a hand while I packed and wrangled the baby and other three wildlings. Some issues cropped up in the midst of the move causing even more stress that we could have happily done without, but finally, we got everything moved and started life in a new home….again. We got our new routine going, with hubby going into work at the Army from our new location while I worked on unpacking what I could here and there between homeschooling and the baby. In due course, hubby’s Final Out date came about and he officially wasn’t ‘working’ for the Army any longer, however his Terminal Leave went into affect (Leave days accumulated have to be used up before finally being completely out) and we were faced with the need for an income to carry us past his final Army paycheck and into whenever he would receive his first Veteran’s check and severance pay. So, hubby got himself hired at Home Depot, but first, we needed to make an important whirlwind trip back to Kentucky and then Arkansas for a death in the family before rushing back home so that he could begin working (which also meant we sadly didn’t have time for visiting all our family members in the various surrounding cities, with the time constraints we were under). As soon as we were back home hubster went to work, and work he did, and then some. He took on all the hours they would give him, more than he should have been doing to the point of being absolutely frazzled and exhausted beyond his means, in order for us to stay afloat. In the interim, numerous other things had cropped up and came about that left us dissatisfied with the new home and landlord, as well as the disquiet the city had fostered in us, that pushed us toward making the decision to move away from Savannah whenever we finally received his severance pay in May….but where to move to was still the question. We considered moving to Arizona to see if the climate would help the hubster’s body not hurt so much, but in the end we decided it would be best to move back home to Kentucky and looked forward to spending time with family and friends after so many years away. The Army transportation scheduled the movers to pack us up in late June and transport everything for us. But first, we had to make a special trip to Walt Disney World before leaving the region for good, because Disney really does make some of the best memories, and we couldn’t pass up Star Wars Weekends! We have since discovered that it was a lucky thing we did go, because last year ended up being the very last time this event was held since they are creating a Star Wars Land! And this little video was a pretty hilarious memory on the Mine Train! LOL! After our Disney trip we had to begin preparations to move, but then our a/c broke down. While waiting on the landlord to have it repaired we ended up staying in hotels for a time, because it was summer in Savannah and living in a sweltering hot house with a baby was NOT happening! Little did we know this detour in our plans was only more of many serendipitous happenings to come. It was during this jaunt in non-vacay hotel stays that we once again stumbled across even more adventurous souls ditching their suburban lives and traveling the country in their tiny homes, and the call to join them got substantially stronger for the both of us, now that we were free. If we had been at the house preparing to move, we wouldn’t have had time to stumble across these sites. 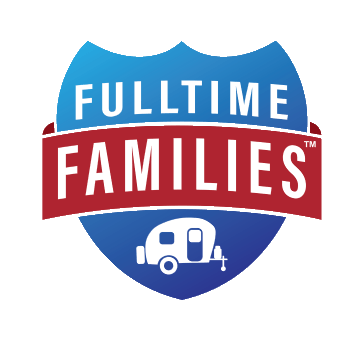 We read all the blogs we could find about families traveling in their RV’s full-time, oohed and awed at all the great places they were seeing, the modifications they were doing on their RV’s to make them feel more like a home, and researched the costs of living such a way. We read about families of 8, 10, 12, and even 14 individuals (parents and kids) living comfortably in their tiny roaming homes, and decided if they can do it with that many people, we can surely manage with just 6 of us! As the days continued to pass while we played the waiting game on the landlord and a/c repairmen to get on the same page, we decided to visit the nearest RV dealer to actually tour some of these moving tiny homes and see for ourselves what options were out there to fit our family as well as whether or not we could even afford one. The easiest step into RVing to our inexperienced selves seemed to be a motor coach, we could keep our current SUV and tow it behind us…..sadly these behemoths were just completely out of our price range. We did more research and determined our best solution would be a Fifth Wheel or a Travel Trailer with a bunkhouse bedroom for the kids, which would both require a truck to pull them. As time went on having to stay in hotels, the more we longed for our own little place to stay while waiting for a/c repair. Then, when it became apparent that the landlord wasn’t going to bother repairing the a/c before we finally moved out, the thought of having our own little place with it’s own a/c while waiting for the scheduled movers, and then being able to use it to travel back home, kept us looking for any and all possibilities within our grasp. Nothing ever came to fruition, to our great frustration, however, so we put that dream back on the shelf. Sick of hotels and needing to ready the house for the movers coming to pack up all our belongings, we went back to the sticks and bricks house and all our STUFF, that at this point was beginning to feel like lead weights around our necks. In hindsight, we probably wouldn’t have minded just walking away and leaving it all behind since we had packed and unpacked six times in the last 9 years, and two of the moves within months of each other. By the time the movers pulled away with all of our stuff, we were so exhausted and frazzled.…needless to say we were bone tired weary folks when we finally pulled into Kentucky. After traveling the long way back to Kentucky from Savannah through four states, to avoid the mountains for the baby’s sake and our sanity (the ear pressure made her scream the last trip through) we finally arrived in our hometown and looked for a hotel, only to find out every single one of them were booked up for a tournament that no one’s ever heard of, and every hotel in the surrounding cities were also booked! Insert face-palm here. ¡Ay, caramba! and Sacrebleu! With some help from a couple family members we managed to get one of the last rooms available in their little city and got to go visit them while we were there. Once the tournament was over we went back into our hometown and got cracking on the house hunting. We had tried to do this search online from Savannah, but our hometown just wasn’t that advanced yet. So, we rounded up the newspapers and discovered there were very few places available to rent, let alone any large enough for our family — because everyone needs their own room right? And we have all this STUFF we have to put somewhere! We were greatly disheartened by the fact that rent was looking the same as in Savannah, but not for nearly as big or as nice looking homes, and exceedingly more than we wanted to be paying in such a small town. 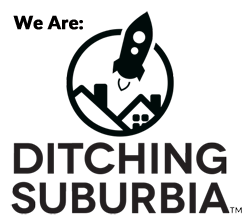 We managed to root out something like 5 places to look at from all the local papers and agents, and we even branched out into the surrounding cities. We made calls and appointments and waited on callbacks to get in to see all of them. And wouldn’t you know, every single time we arrived at a home to have a look, it was on the tails of another family looking too — and first dibs became a repeated process. It was seeming more and more like we weren’t meant to settle down here. Buying a home was far from being a viable option no matter how much we would rather own our home and not have to deal with landlords ever again. It seemed we were out of options…..except one very different option. In fact this very different option was staring us down every day from next door to our hotel — an RV dealer. So, after exhausting our house search, we trudged on over next door and had another look at RV’s waiting to venture out on the open road, and in doing so, our desire to try that new American Dream was rekindled and was beginning to reveal itself as the path we were meant to pursue….we just had to find the tiny home just right for us. We discovered one or two that we could actually afford to buy outright if we pinched our pennies just right. But, none of them felt “right” for us, and they didn’t give the kids the room we felt they needed. We decided to check out all the RV’s in the surrounding area and see what we could discover, as well as some privately owned used ones. We scoured all the options looking for “The One”. Finally, we found her! We knew it was the one as soon as we stepped inside. We talked it over, we slept on it, looked for guidance from the universe, and made the decision that this was the one for us and that this was the direction we needed to go with our lives! We signed the paperwork, forked over the money, and became the crazy new owners of Alice, our brand new tiny home — that we OWNED! Now we could take our own Adventures in this Wonderland we call Life. We hitched Alice up to the red beauty we traded our SUV for, now affectionately known as the Frumious Bandersnatch (cause it’s pretty frumious), and began our trek to slay the Jabberwocky…..errrr, I mean our trek to ditching the American Dream and joining the tiny house nation…..with a twist…..because We’Re aLL mAd HeRe! I can write hi quality and unique posts for you.